Maine voters, in November 2016, approved ranked-choice voting for future elections. 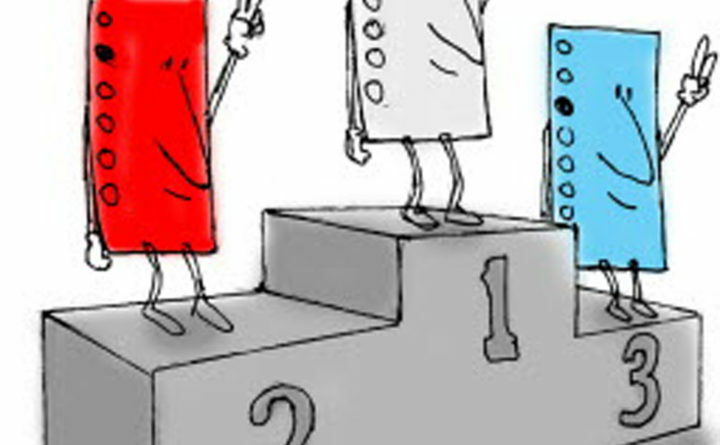 The new voting system allows voters to rank their choices, rather than voting for just one candidate, when there are three or more candidates in a race. Backers of ranked-choice voting say this will lead to better candidates running for office, less nasty campaigns and less grumbling after an election because the winner will have earned at least 50 percent of the vote after the rankings are tabulated. In an era of increasing political rancor, an influx of campaign spending from shadowy groups with little accountability, ranked-choice voting offers an opportunity for voters to feel more in control of election outcomes. Ranked-choice voting proponents, rightly, note that this referendum is one of the many that lawmakers, and Gov. Paul LePage, have simply ignored despite their passage by voters. LePage has refused to implement Medicaid expansion, the Legislature simply overturned a 3 percent surtax that was meant to raise additional funding for education and lawmakers dragged their feet for two years before finally passing rules for the sale of recreational marijuana. Ranked-choice voting is different from these others, however, because it isn’t constitutional for many Maine elections, according to an advisory opinion from the Maine Supreme Judicial Court. For that reason, it can’t be used for state general election races, such as this November’s election for governor. It can, however, be used in primary elections and elections for federal offices. It will be used in next month’s gubernatorial and 2nd Congressional District primaries. This is a recipe for confusion and increased frustration among the very voters who were hopeful that ranked-choice voting would improve election outcomes. This has allowed Republicans to repeatedly challenge it in court and for lawmakers to drag their feet, further adding to the confusion. The fact that ranked-choice voting isn’t constitutional for all Maine elections, a concern that backers brushed aside, has been the basis of our objections to it since 2016, and it is why we oppose Question 1. Last year, the Legislature set out to rectify the conflict between the successful referendum and the high court’s opinion that struck down the use of ranked-choice voting for many Maine elections. Lawmakers passed a bill to delay the implementation of ranked-choice voting until 2022 to give the Legislature time to bring the law into compliance with the state Constitution, which says that general and special elections for state offices must be decided by a plurality, not a majority. Republicans added a poison pill to the legislation to kill ranked-choice voting if the Constitution isn’t amended to allow it by December 2021. Backers of ranked-choice voting gathered about 77.000 signatures, in less than 90 days during brutal cold weather, to force a people’s veto vote on the 2017 law to delay, and perhaps, scrap ranked-choice voting. This is Question 1 on the June ballot. A yes vote repeals the delay and keeps ranked-choice voting in effect for future elections where its use is permissible. A no vote revives the law that delays it until 2022 and repeals it if the law and Constitution aren’t compatible by then. We understand the difficulty of amending the Constitution — the Legislature, by a two-thirds vote in both chambers, must agree to send an amendment to Maine voters for their approval. Lawmakers have little interest in changing a system that got them elected to the State House. However, we strongly believe that Maine’s voting system should be fully constitutional and consistent for all state elections. Further, an additional two years would also have given lawmakers and Secretary of State Matt Dunlap more time to iron out other wrinkles in the law. Instead, it has been hastily implemented. On a positive note, the secretary of state’s office deserves kudos for videos, online resources and workshops that help voters and town clerks understand ranked-choice voting, both how ballots are marked and how they are counted. It is important to note that all registered voters (you can register on election day), including those not enrolled in a political party, can vote on Question 1.